Writer and artist Gwendolyn Bennett spent a year in Paris between June 1925 and June 1926. Only 23 years old at the time, she found very few African-American women in the city and experienced a combination of exhilaration and loneliness. 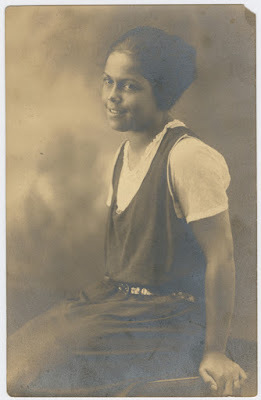 She sought out "hometies" and developed quite a social circle among expatriate Americans, including Harold Jackman, Paul and Esmelda Robeson, and fellow artist, Laura Wheeler. Bennett also joined the Shakespeare and Company lending library run by American Sylvia Beach. Beach invited her to Thanksgiving dinner that November. 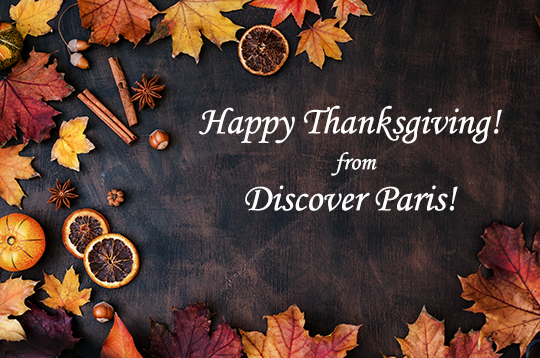 Entrée to Black Paris wishes you the happiest of Thanksgivings! May you be surrounded by loved ones and count every single one of your blessings today!